Hello everyone! We had a lovely holiday break here at the University! I’m back and ready to talk about our science word of the week! Who’s ready to learn with me? 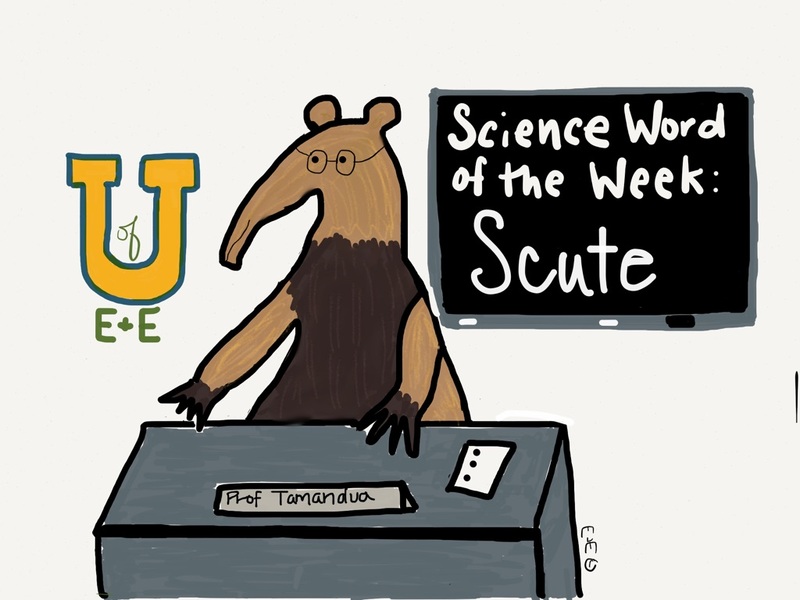 This week’s word is Scute: a scute an external bony plate or scale. 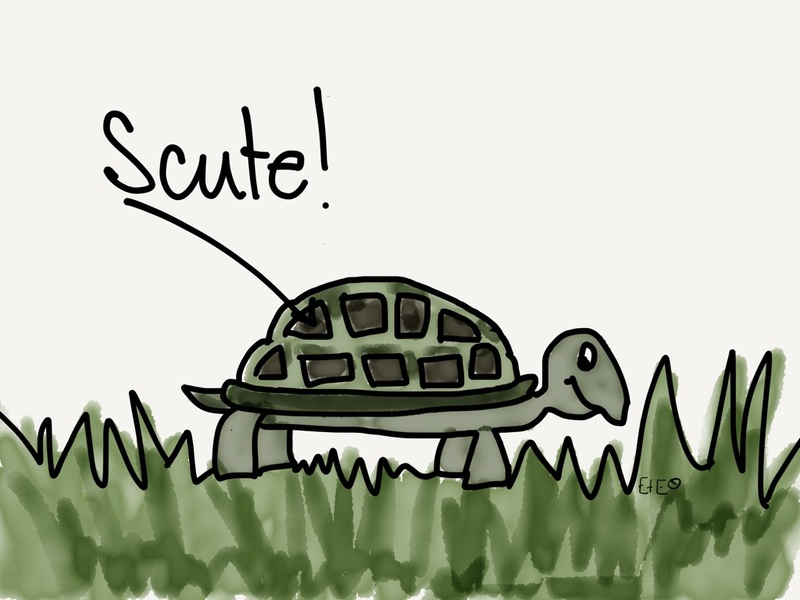 Turtles and tortoise have scutes on the outside of their shells. Those scutes are made up of the protein keratin. Keratin makes up human hair and finger nails!